With Zebra’s TC70/TC75 you can work more efficiently and better serve your customers by giving your employees enterprise-class handheld computers that survive life in the field or shop floor, communicate and access information in real time. The TC70/TC75 is the professional-grade Android device built from the ground up for the enterprise. Ever since the initial release, the Zebra TC75/TC70 Series has become one of the most popular mobile computers due to its convenient form factor and robust feature set. With over 200,000 unit deployed the TC75/TC70 are helping businesses of all types improve daily efficiencies and empower their workforce. In order to better serve their customers Zebra　has announced that Android v5.1 Lollipop will soon be available for the TC7x Series. The upgraded Android OS is expected to be available for download on Zebra’s Support site on approximately August 22, 2016 for TC70 and August 30, 2016 for TC75. All future devices will have the newest Android OS installed but for customers preferring the older OS versions a simple ‘back-rev’ to their OS version will be available. 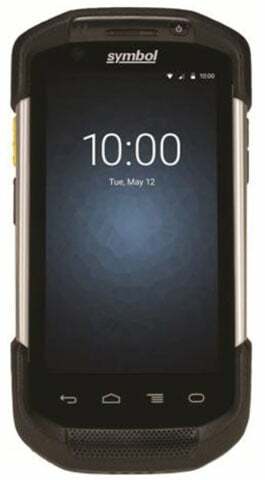 Motorola’s new Symbol TC70 is a leading enterprise-grade mobile device designed to empower workers in any environment. With a host of features and durable construction, it’s flexibility makes it the perfect companion for a wide range of applications from retail to warehousing and manufacturing. The newest entry in Motorola‘s line of enterprise-grade handheld Android devices, the Symbol TC70 features Android’s KitKat (4.2.2) operating system and Extensions (Mx), a series of features that provide security, device management and more to transform Android into a true enterprise-class OS. The TC70 is rugged and ready for all-day, everyday enterprise use and delivers a new dimension of intelligence to the front lines of today’s enterprises by enabling powerful and flexible data entry, data capture and audio communications. Designed for today’s most advanced solutions, the TC70 blends a 4.7-inch HD display and an all-touch, worker-friendly interface as well as an embedded 1D/2D scanner and 8 MP camera. A flexible array of accessories and the ability to draw on an ever-expanding library of enterprise applications ensures that the TC70 offers unsurpassed return on investment and will meet customer needs for years to come.